Recently at Harlow Carr we are beginning the process of turning a small area of the garden into an Exotic garden, which is located in a sheltered area surrounded by hedges. 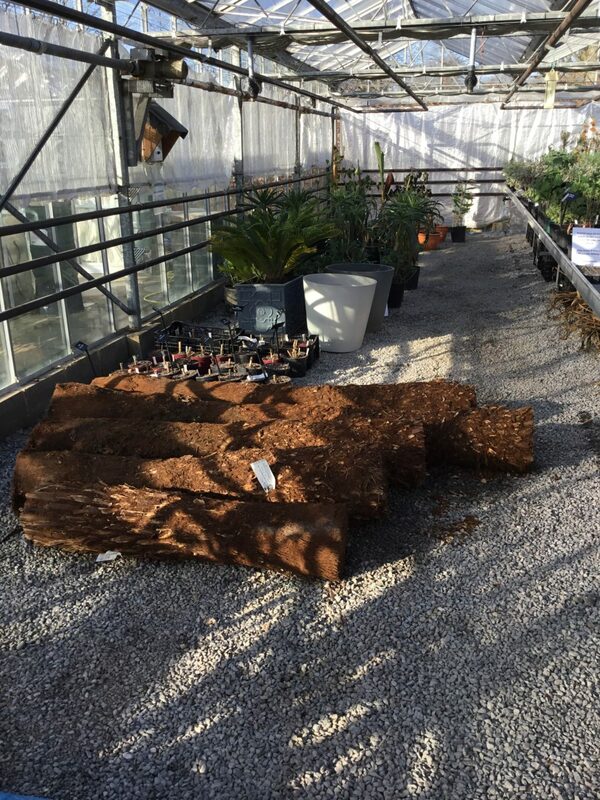 We are hoping to grow exotic flowers and foliage like plants in here, and in addition Tree Ferns!! We were able to acquire some sustainably sourced, with proper certification attached, Dicksonia antarcticas at a very large size. 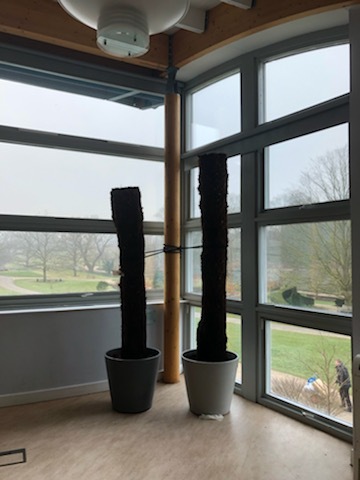 So it’s been very exciting to watch they’re progress, from they’re arrival when they were dormant and to putting on new growth. 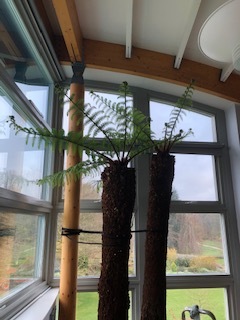 They then outgrew their space quickly when their fronds began to emerge and thus moved to our indoor Learning Center with Higher ceilings than our glasshouse! Our hope is to plant them in the garden and cover them up for winter weather and also hope to experiment with growing epiphytes on their trunks! We are very excited about this project ahead!